When SRA Home Products installs a 3 season sunroom at your home, whether you are in Warminster or Willow Grove, Pennsylvania, you will receive a substantial amount of additional living space that will let you peacefully take in the many joys nature has to offer. While potentially increasing the value of your home, a 3 season sunroom also will allow you to watch the sunset, a magnificent lightning storm, or the season’s first snowfall – all from the comfort and protection of the indoors. Is energy efficient, thanks to high-performance glass and thermal roof and wall systems. Deflects the sun’s radiating heat to help maintain a comfortable interior temperature. Blocks up to 99 percent of harmful UV rays. Is protected by TEMO’s innovative TEMKOR surfacing, which is dent-, fade-, and scratch-resistant for unmatched durability. Is available in a number of styles to meet your home’s unique architectural needs. Thanks to the incredible reputation of TEMO’s products and SRA’s extensive knowledge and experience installing them, we are sure that your 3 season sunroom will exceed all your expectations. 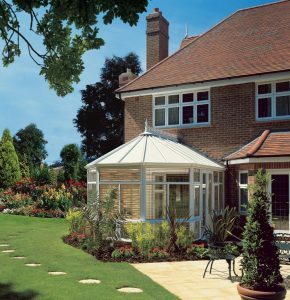 But, for added peace of mind, the sunrooms we install are backed by a manufacturer’s limited lifetime transferrable warranty. You can trust that your investment will remain protected. To learn more about the benefits of having a TEMO 3 season sunroom perfectly installed at your home in the Warminster or Willow Grove, PA area, call SRA Home Products today.